Just in time for Independence Day, Vox presents an article purporting to explain “3 Reasons the American Revolution Was a Mistake.” Vox is not alone in torturing narratives to fit a particular worldview. In this case, however, the argument is one shared by far too many historians of the American Revolution, so it’s worth a response. Taking these in reverse order, number 3 is not really worth arguing. Matthews believes a form of government that could more easily force through progressive policies that he favors would be preferable to a system that makes it much harder for any one branch of government (and any one party controlling that branch) to run roughshod over its political opponents. He’s free to have that opinion. The inability of one branch of government to ram through its prerogative, however, is a feature of the American system of government, not a bug. Number 2 is generally true as far as it goes, but his argument is also a total mess. It essentially amounts to saying that things would have been an ever-so-slightly better shade of awful for Native Americans without independence. Number 1 is the big problem though, largely because some of the arguments included in it are so pervasive in the historiography. First, in a point that technically precedes the first argument, he suggests independence was unnecessary because without it what became the United States would probably have taken the route of Canada, and given dominion status at about the same time. This is an example of how to not do counterfactual history. You can’t make your rewrite (in this case the lack of an American Revolution) one of the factors that influenced later history and still expect that later history to turn out the same. This all-too-common counterfactual ignores the effect the loss of the North American colonies had on British imperial policy. Many of the concessions granted to Canada and the other dominions had their origins in the concessions Parliament tried to offer the Continental Congress in 1778 following Saratoga via the Carlisle Commission (or the Commission to Quiet Disorders in America). The Commission was prepared to offer a form of self-rule and Parliamentary representation to the colonies, or “every privilege that is short of a total separation of interests.” If they had offered this level of political and economic autonomy (really the commission had authority to offer everything short of independence) prior to the war, it may have made a difference. Instead, the British had no leverage by 1778, having just suffered a major defeat at Saratoga and with the French about to enter the war. But when they revisited the way they ran the empire after the war, and particularly as political unrest began to develop in Canada in the first decade of the 19th century, many of the elements put forth by the Carlisle Commission – which the British government never could have conceived offering the colonies prior to the outbreak of the Revolution – made their way into the development of the new dominion status. As for the claim that abolition would have come earlier, there’s really no way you can know this. Matthews notes slavery in England was made illegal in 1772, but it remained legal elsewhere in the Empire until 1834 (and 1847 in India). The fact that slavery remained legal elsewhere in the Empire for another 60+ years after 1772, and the slave trade remained legal for another 30+ years from 1772, suggests that the British recognized there were continued benefits (economic and otherwise) to continuing slavery in the Empire that they simply could not realize at home. The North American colonies, of course, were still part of the British Empire in 1772. Who knows if the British government would have been as willing to outlaw slavery when they did if there was significant continued economic benefit from maintaining slavery in North America. The irony is that historians generally concede this causal relationship between economic incentive and the strength of the institution of slavery when they argue – correctly I believe – that slavery was becoming more entrenched, not less so, in the American South by the time of the Civil War. This runs counter to the oft-heard argument that slavery would have disappeared from the South sooner rather than later, and that the Civil War was unnecessary. The Real Threat: The British or the Slaves? As for the argument that “a desire to preserve slavery helped fuel Southern support for the war,” this is just not true, despite its prevalence in the historiography. The greatest threat for the Patriots – the one that consumed nearly all their attention – was the British, who had men-of-war sitting off the coast of Wilmington, Charleston, and Savannah, threatening to destroy their cities. For most of the summer of 1775, the Patriots were not especially concerned about slave insurrection – at least no more than usual in a colony where whites were outnumbered by blacks. Only when a very specific subset of the black population threatened to provide the British with a unique service that could ensure the destruction of the southern colonies did the Patriots start to panic about the slave and free black population. Arguing that Dunmore’s Proclamation was what brought the South into the war and solidified support for it ignores the events of pretty much the entire previous year. So much had happened by November, when Dunmore issued his proclamation, it’s effect has really been over-stated because lines were pretty much drawn between both sides by that point. The Patriot elite in the South had already spent most of the summer and fall bringing the Loyalist population, both in the low country and especially in the backcountry, under their control. They understood that any British attempt against the southern colonies would require Loyalist assistance to succeed. They used persuasion, intimidation, implied threats of violence through the movements of militia and provincial regiments, and propaganda to turn Loyalists against their leadership, and to isolate Loyalist leaders from one another to further weaken their authority. They managed to secure the effective surrender of several large Loyalist forces without firing a shot, simply by marching their army. They didn’t do this because they saw the Loyalists as some irreconcilable stain on the body politic that they needed to destroy, as is usually the case in revolutions. Wherever they could convince the Loyalists to join them, they did. The others they sought to control rather than kill. This is because first and foremost their concern was the British warships and the destruction they could bring. This strategy paid off in March 1776 when they defeated a force of Loyalists and Scottish Highlanders at Moore’s Creek Bridge in North Carolina. The loyalist force was supposed to march to the coast to meet the last royal governor of North Carolina, Josiah Martin, and a British force believed to be destined for North Carolina. The system of control the Patriots had established over the population, however, allowed them to intercept all communication and messengers between Martin and the loyalists, causing the loyalist numbers to dwindle before they even started moving, and even further along the march until they were a fraction of their original numbers. They succeeded because they had spent the summer and fall of 1775 – months before Dunmore’s proclamation – implementing a strategy of population control over any internal populations that threatened to help the British take back control of the colonies. Too many historians make this argument that the South went to war because they had lost control of their slaves and the British intended to foment slave insurrection. The logical corollary to this argument is that somehow along the way the Patriots’ overthrow of royal provincial governance was a mistake or an unintentional result of their efforts to prevent insurrection. The problem is, their use of the evidence to establish ties between slave revolts and major Patriot actions against the British often does not hold up under scrutiny. These historians often have pre-existing assumptions about the relationship between elites and non-elites and the influence each group had on the other. Too often historians try to support these assumptions by finding connections between planned slave revolts that were discovered and stopped and Patriot military action against the British. Later in July, however, one of the men who had been arrested and then sent to the work house in June, Thomas Jeremiah, was again arrested. He was quickly tried again and executed, on no new evidence than what was presented in June and found at the time to be insufficient. What drove the change in attitudes from June/July, when the Patriot leadership arrested and then released Jeremiah and other slaves, to August when they executed Jeremiah? The answer has to do with a service enslaved and free blacks could provide the British, not any service the British could provide the slaves to spark insurrection. In early July the Patriot leadership learned that a British warship, the Scorpion had departed for Boston, carrying on board Charleston’s best harbor pilot (who, like many of the pilots, was black). It was believed to Boston where it was believed General Thomas Gage, the commander in chief of British forces in North America, was planning the invasion of the southern colonies. With these harbor (and river) pilots, the British could finally navigate their war ships through the treacherous shoals and into the harbor and rivers to come within firing distance of the cities. As with the loyalists that the Patriots spent the summer and fall trying to break, the primary concern was how indigenous groups could help the British. Only when specific slaves and free blacks with a unique skill increased the threat posed by the British did the Patriots act. This is a far cry from “a desire to preserve slavery” driving the South to war. Also, this all happened months before Dunmore issued his proclamation. Most historians don’t account for the changing circumstances from May and June into the first week of July. Instead they present the case of Jeremiah as if it was just another example of an ever present fear of insurrection that drove all of the events starting in 1775 and led to Jeremiah’s execution. Some historians point to a planned rebellion several parishes away that was discovered and prevented in early July, and argue this was what suddenly made the Patriot elite panic with respect to Jeremiah in Charleston. These historians, however, incorrectly assign importance to influence this planned – and foiled – revolt had on the Patriot leadership in Charleston. In fact, what these historians don’t note – largely because it’s not available in the key letter describing the planned revolt- was that the white man who was accused of instigating the revolt was soon after given a job by Henry Laurens, the President of the Provincial Congress and the one directing all Patriot activity in SC, to work on one of his plantations with responsibility over many of his slaves. If that planned insurrection had so frightened the Patriots into executing Jeremiah and driving them to war with the British, there’s no way Laurens would have entrusted him with responsibility overseeing his slaves. A little over a week earlier, on 8 July, in Beaufort County in North Carolina, a local slave owner learned from one of his slaves of “an intended insurrection of the negroes against the whole people which was to be put into execution that night.” The locals put together a patrol, which arrested dozens of people and put an end to the plot. Several historians, however, cite this foiled insurrection – and the belief the British had planned it – as the reason Martin fled to Fort Johnston, and then the man-of-war off the coast. They also argue it was the reason why the North Carolina Patriots decided to “[raise] a militia to attack Fort Johnston on July 17, 1775.” In making these arguments, however, they confuse both the timeline and the geography of the events of June and July 1775. Martin fled to Fort Johnston at the end of May, arriving there on 2 June 1775, more than a month before the planned slave insurrection. Furthermore, this planned insurrection occurred in Beaufort and Pitt Counties, north of New Bern. Patriot leaders in Beaufort and Pitt Counties did not write to the Patriot leadership in New Bern of these events until 15 July, making it very unlikely that the rebels in Wilmington, approximately 100 miles further south of New Bern, would have heard of these events in time to draft a letter on 16 July explaining why they were going to attack and burn Fort Johnston, which they did two days later, on the night of 18 July. The Patriots actually took and burned Fort Johnston to deny the royal provincial government its last position of strength in the province. In fact, the Patriot leadership had been systematically weakening the fort for more than a year. As in North Carolina and Georgia (and many other colonies), most of the members of the province’s royal assembly eventually joined the Patriot leadership. One of the fatal mistakes made by the royal governors, however, was to continue allowing the assemblies access to continue to sit at the same time most of the assembly members also sat as representatives in illegal provincial congresses. Since the assembly continued to sit, its members had access to government resources that they repeatedly used for purposes contrary to government interest. Even if they were not certain whether war would come, as early as 1774 they were taking steps to weaken the provincial governments’ position. Martin repeatedly asked for the assembly’s support for expenditures to strengthen Fort Johnston, which was in a state of disrepair. The assembly, however, repeatedly refused to allocate any such resources, not wishing to strengthen a position that would likely eventually be used against them. Again, therefore, as with the loyalists and the black harbor and river pilots, Patriot decision-making was driven first and foremost by the necessity of defending against a potential British threat to their cities. Historians have also argued that other actions taken by the Patriots in 1775 – including raising military forces and seizing control of the militia – were driven not by a need to defend against the British but to prevent slave insurrection. In June 1775 the South Carolina Provincial Congress organized provincial regiments completely free of royal control, and began reorganizing the militia, seizing control of most of the regiments from the royal governor. North Carolina and Georgia followed in short order. As with the trial of Thomas Jeremiah, and as with the burning of Fort Johnston, historians have argued that this was not to defend against the British or the loyalists, but to prevent slave insurrection. As some made clear, however, they used the concern of insurrection as a pretext for raising 2,000 men independent of royal authority and for taking control of the militia. They did not yet want the British to think they were organizing a military force to be used against them or the loyalists. Henry Laurens, acting as President of the Provincial Congress, warned his colleagues that raising 2,000 men might betray their intentions, since “1000 Men embodied in aid of the Militia” would be more than enough to defend against insurrection and Indian attacks, whereas two thousand men would suggest they had a more formidable enemy in mind. The Congress noted his point by reducing the number of men in the provincial regiments to 1,250. This additional context strongly suggests that statements – particularly public statements or official correspondence – that claims decisions had been made based on fears of slave insurrection cannot be taken at face value. The bottom line was that far from a “desire to preserve slavery” in the face of British willingness to harbor their escaped slaves “fuel[ing] Southern support for the war,” the southern Patriots were most concerned with the British threat. To the extent that other groups would facilitate proceedings for British attacks against southern cities, the Patriots also sought to control those British allies. To some extent Matthews’ argument is based on so much of the historiography. The problem is that so much of the historiography is based on an interpretation in which lower classes, women, blacks, Native Americans and other non-elites forced the hand of elites. In some instances, however, this historiographical school uses original source material to make arguments that that source material does not support. This is how we get interpretations suggesting that the southern colonies supported the American Revolution merely as a way to defend against British attempts to harbor slaves escaping from their masters. Commissioners for Quieting Disorders to Henry Laurens, 9 June 1778, K.G. Davies, ed., Documents of the American Revolution (DAR), XV (Dublin: Irish University Press, 1976), 135-137. Henry Laurens to John Laurens, 23 June 1775, David Chesnutt, et al., eds., The Papers of Henry Laurens (PHL), X (Columbia, SC: University of South Carolina Press, 1985), 186-196. Henry Laurens to James Laurens, 2 July 1775, PHL, X, 203-206. William Henry Drayton to Members of Congress from South Carolina, 4 July 1775 in Robert Wilson Gibbes, ed., Documentary History of the American Revolution (DHAR), I (New York: D. Appleton & Co., 1855), 117-118. Gabriel Manigault to Gabriel Manigault, Jr., July 8 1775 in Maurice A. Crouse, ed., “Papers of Gabriel Manigault, 1771-1784” The South Carolina Historical Magazine 64 (January 1963): 2-3. Thomas Hutchinson to Council of Safety, 5 July 1775, PHL, X, 206-208; Council of Safety to St. Bartholomew Committee, 18 July 1775, PHL, X, 231-232; William R. Ryan, The World of Thomas Jeremiah: Charles Town on the Eve of the Revolution (Oxford: Oxford University Press, 2010), 53; Jim Piecuch, Three Peoples, One King: Loyalists, Indians, and Slaves in the Revolutionary South 1775-1782 (Columbia: The University of South Carolina Press, 2008), 78-79; J. William Harris, The Hanging of Thomas Jeremiah: A Free Black Man’s Encounter with Liberty (New Haven: Yale University Press, 2009), 116. 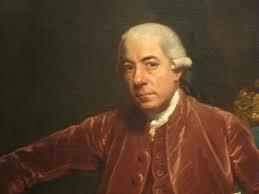 Henry Laurens to Lachlan McIntosh, 27 August 1776, PHL, XI, 262; Henry Laurens to Christopher Zahn, 20 June 1777, PHL, XI, 373-376; Henry Laurens to John Loveday, 21 June 1777, PHL, XI, 384-387. “The People” to Josiah Martin, 16 July 1775, William Saunders, ed., Colonial Records of North Carolina (CRNC), X (Wilmington: Broadfoot Publishing Company, 1993), 102-103. John Simpson to Richard Cogdell, 15 July 1775, Richard Cogdell Papers, State Archives of North Carolina. Sylvia Frey, Water From the Rock: Black Resistance in a Revolutionary Age (Princeton: Princeton University Press, 1991), 57-60; Gary Nash, The Unknown Revolution: The Unruly Birth of Democracy and the Struggle to Create America (New York: Viking, 2005), 165-166. Nash, The Unknown Revolution, 157; Robert Olwell, Masters, Slaves, & Subjects: The Culture of Power in the South Carolina Low Country, 1740-1790 (Ithaca: Cornell University Press, 1998), 230-242; Woody Holton, Forced Founders: Indians, Debtors, Slaves, and the Making of the American Revolution in Virginia (Chapel Hill: University of North Carolina Press, 1999), 136. Henry Laurens to John Laurens, 23 June 1775, PHL, X, 186-196.